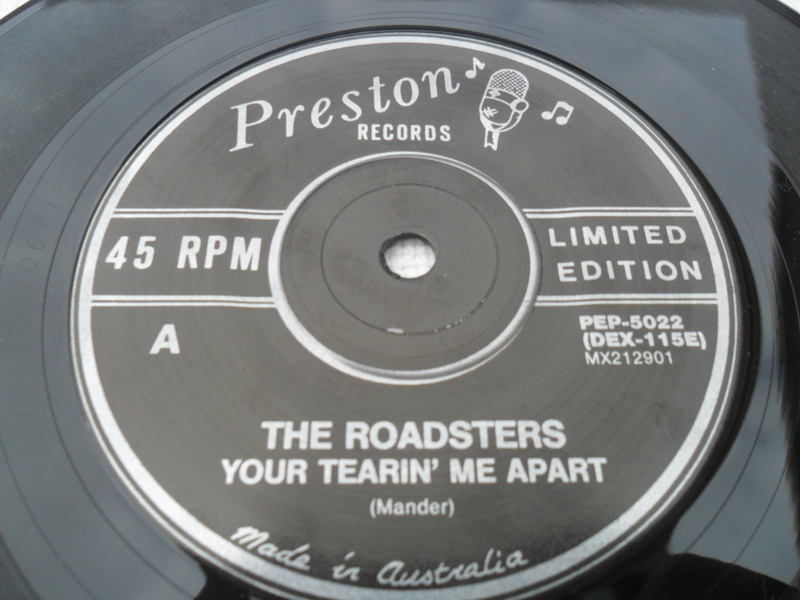 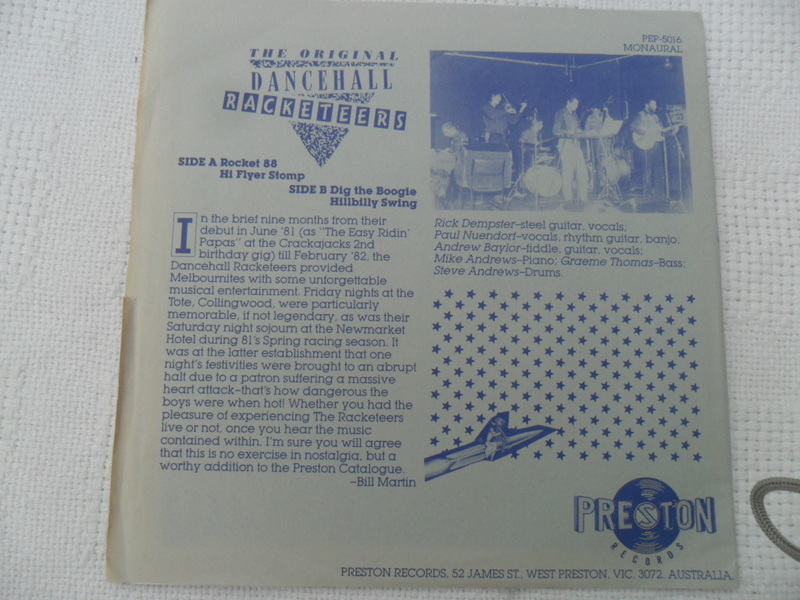 Preston Records was a rockabilly recording studio in Melbourne back in the ’80s. 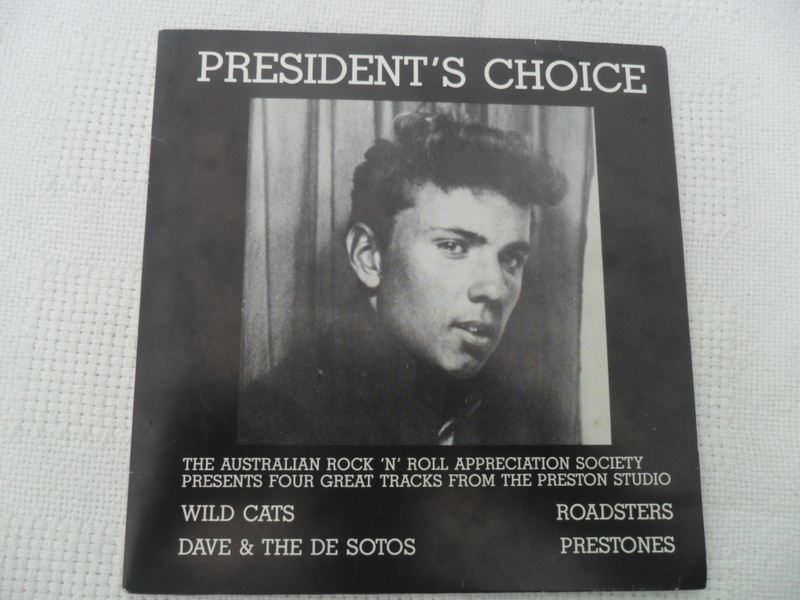 The baby of Graeme Thomas, it evolved from recording in his room, to his parents loungeroom, and then onto a small milkbar which was turned into a recording studio. 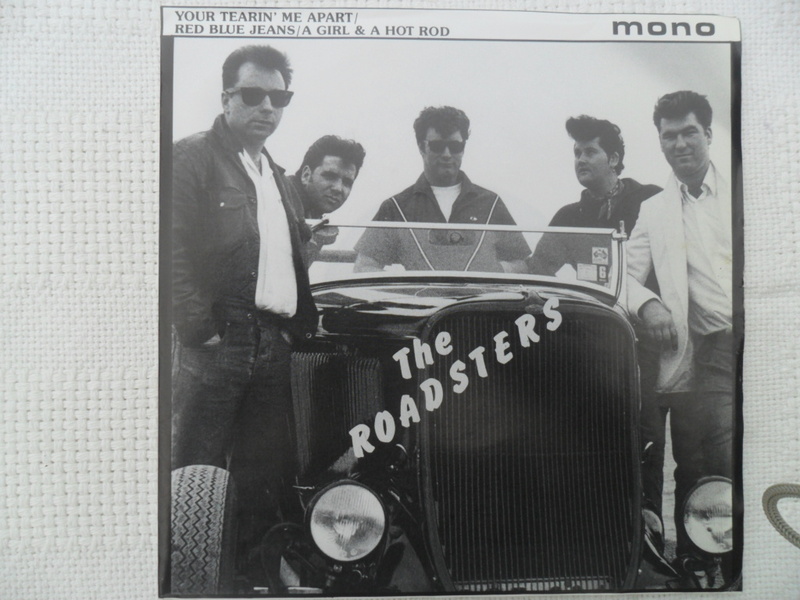 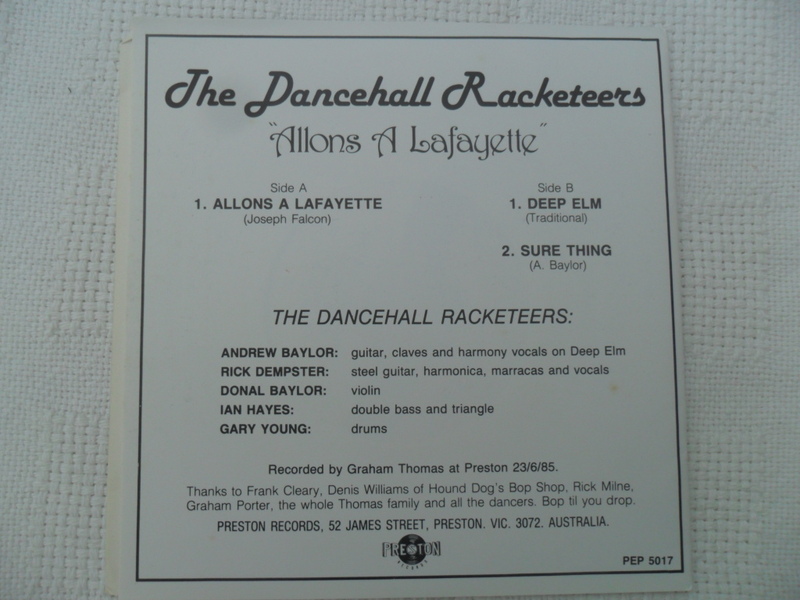 “Graeme liked to turn every practice session into a recording date”, explains Rick Dempster, who featured on steel guitar, harmonica, and vocals with the Racketeers. 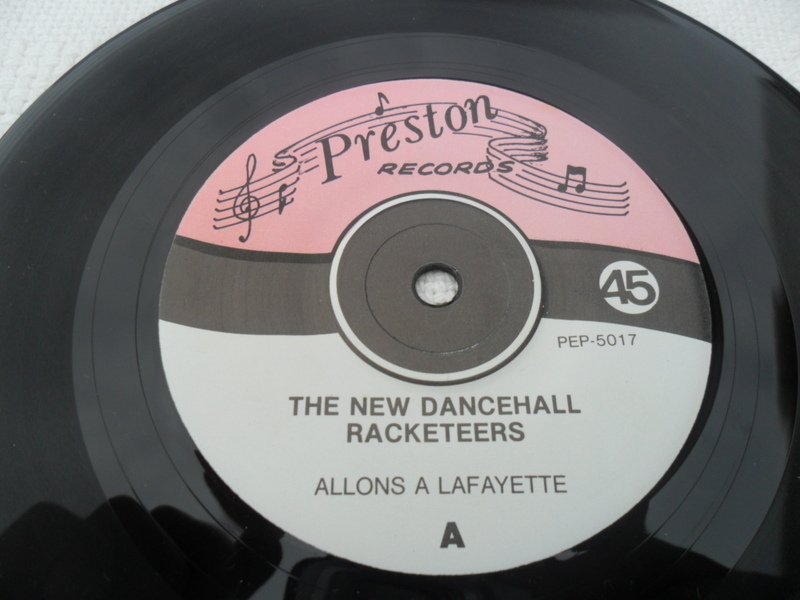 “Which is just as well for posterity’s sake in this instance. 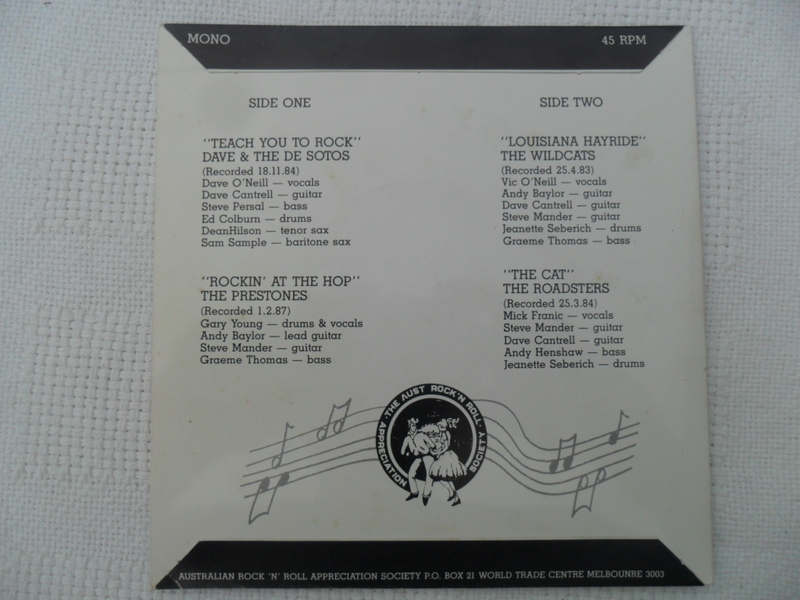 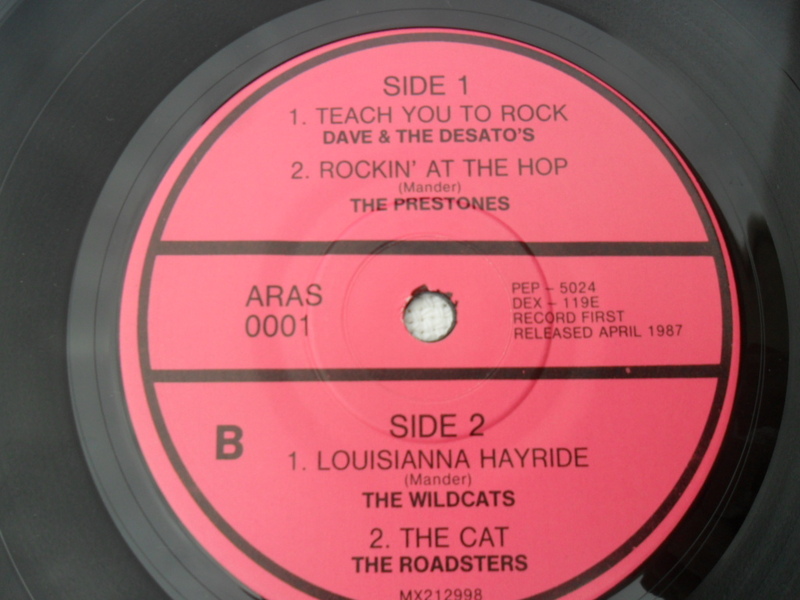 None of these tracks were ever issued until the first lineup had split, and then only 500 copies of a four track, vinyl EP were pressed up and sold, mainly to habitues of Hound Dogs Bop Shop”. 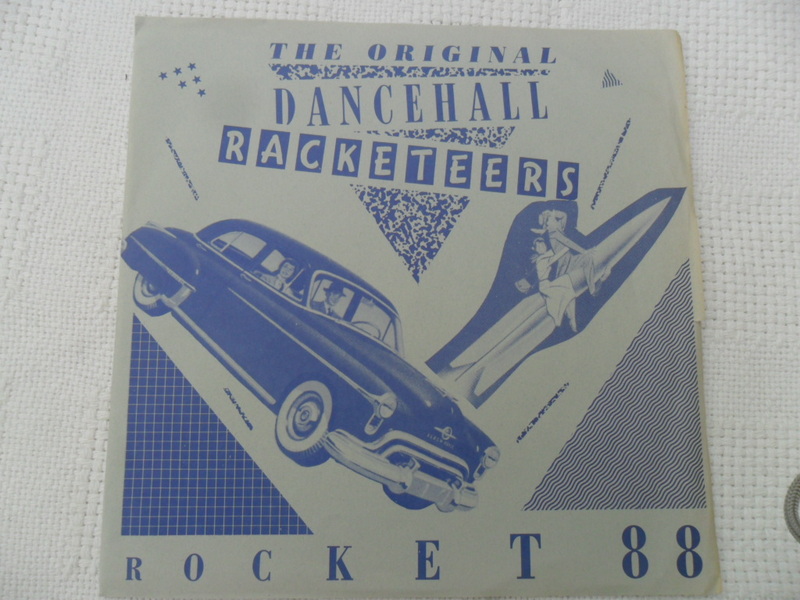 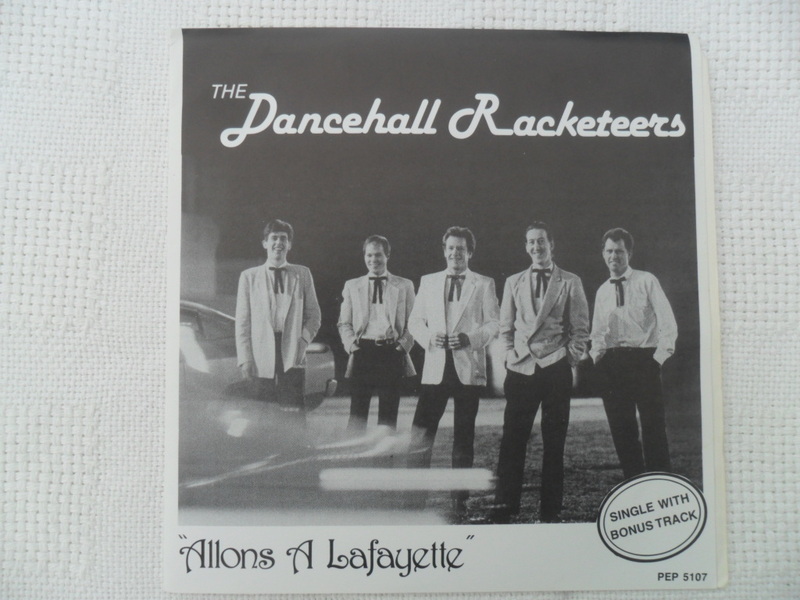 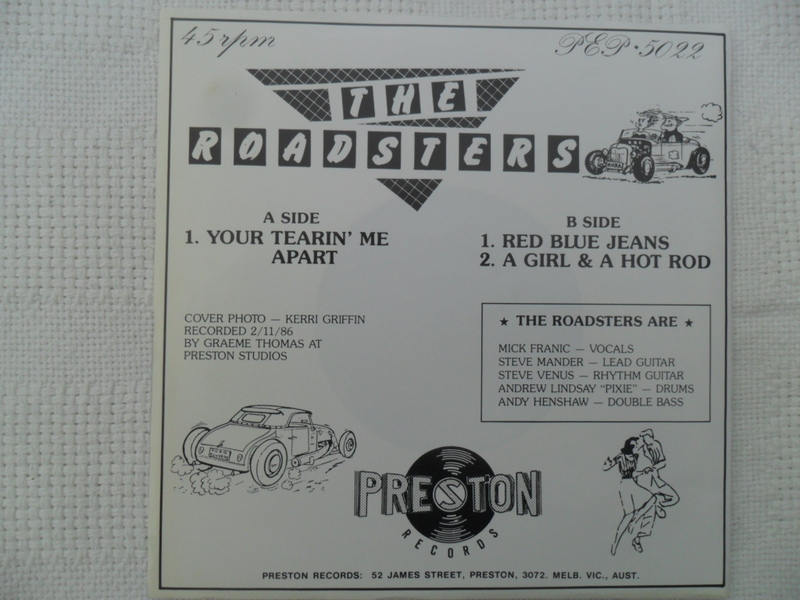 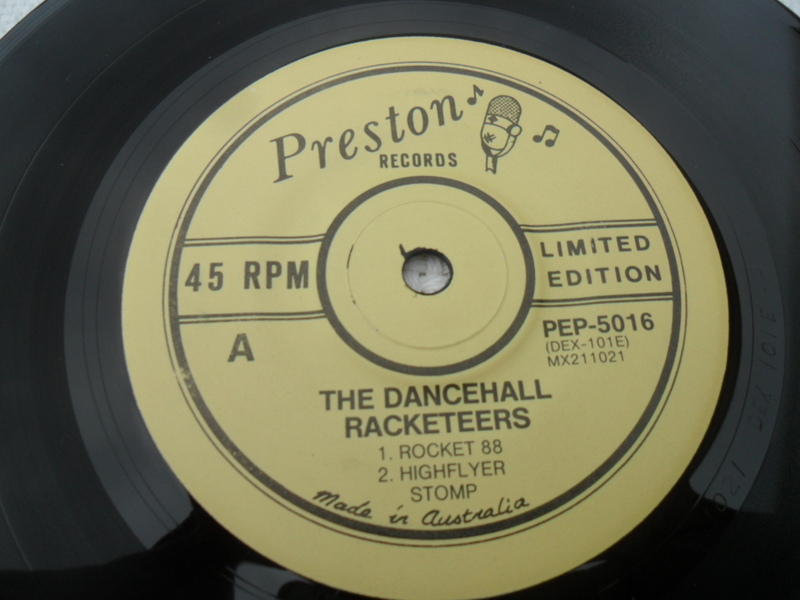 Luckily for us, in 2006 a CD titled ‘The Preston Years’ was released featuring a bunch of songs mainly from the Racketeers original line up. 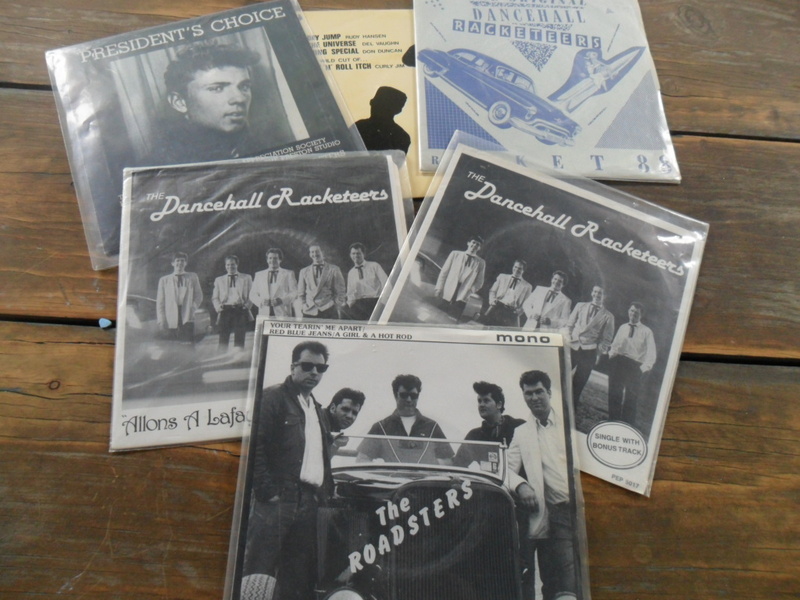 A big thanks to Stack over on Retro Rollers for the vinyl pics and inspiration!